American Record Holder Indoors (Currently 19'9"). Establish and reinforce good habits in your vaulters using this simple, safe training progression. 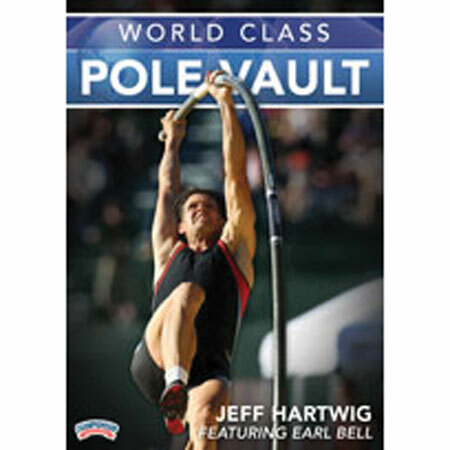 This pole vaulting DVD begins with a technique progression appropriate for any level of pole vaulter. Along with his own demonstrations, Hartwig is joined by a high school boy and girl to demonstrate each progression. •Grip and Carry: Learn to mark your pole for grip consistency and jump-to-jump adjustments. Establish the proper grip and carry position. •Pole Plant: Ensure a confident and safe take-off by maintaining balance on the pole. Hartwig teaches basic walkovers, illustrates proper body alignment in relation to the pole and provides coaching tips to ensure your vaulters are properly balanced. •Approach and Take-off: No need to stand in line for the pole vault pit. Get your vaulters more approach reps by learning to train on the track. In addition, Hartwig shows how to train vaulters using a progression of short run approaches, how to correct common take-off errors and how to safely train vaulters with their speed and body under control. Throughout the technical progressions, Hartwig shares invaluable coaching tips such as to how progress your vaulter as they improve. In Part 2 of this presentation, Hartwig demonstrates 36 exercises that he incorporates into his pole vault specific training program. These exercises fall into five categories: Hurdle Mobilities (6 drills), Core Exercises (15), Med Ball Exercises (9), High Bar Exercises (3) and Weight Lifting Exercises (3). Hartwig then takes you through the four training cycles that make up a season. Hartwig lays out a detailed training schedule for each cycle. The schedule includes a weekly plan and specific daily workouts. In addition, he shows the vaulting skill set that is appropriate for each phase of the cycle. As an added bonus Hartwig introduces his coach--the legendary Earl Bell--to present a technical analysis of the vaulting Hartwig does in each of the four training cycles. Hartwig and Bell deliver priceless tips and techniques throughout this commentary. 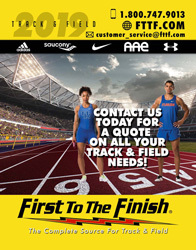 This is THE most comprehensive combination of teaching, coaching, training, and planning that has ever been produced for pole vaulting.